In challenging relationships and situations, how to let go of our story and see what’s really happening. This is a lecture in front of an audience, not a book. That said, it's nice . Pema Chodron. I'm new to Buddism so have no insight or judgements about it. There are words anyone more familiar would certainly understand, references to other apparently famous teachers in the world yet I was able to grasp the main messages. Sit with it. Whatever discomforts you... Just sit with it. Examine things that way (instead of reaching for food, another distraction, etc.) don't block things out, just welcome everything. That's what I got out of it anyway. 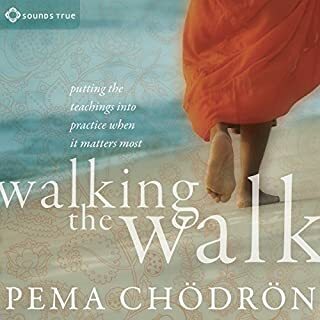 What does Pema Chödrön bring to the story that you wouldn’t experience if you just read the book? A soft loving voice,& a sense of humor. What insight do you think you’ll apply from Coming Closer to Ourselves? That where there is discomfort, therein lies an opportunity for me to learn what's really there. 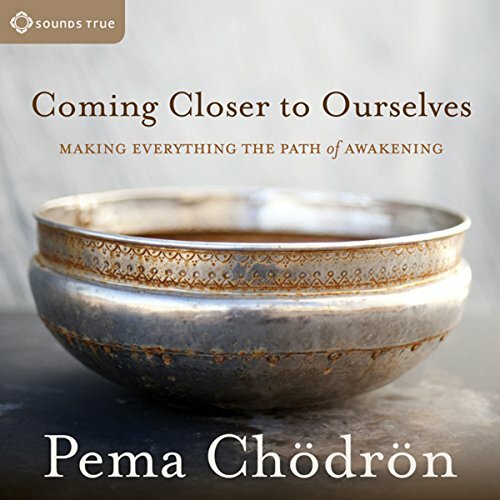 This has been one of my favorite of Pema's audiobooks. She talks a lot about groundlessness, & nurturing your relationship with fear. One of my favorite phrases ((which I have written on the wall by my desk)) is "If there is PRAISE, there will be BLAME". I would recommend this book to anyone :) love you Pema!! Pema's narrative is a soft voice in your ear, giving helpful information with a dose of humor all the while being humble. 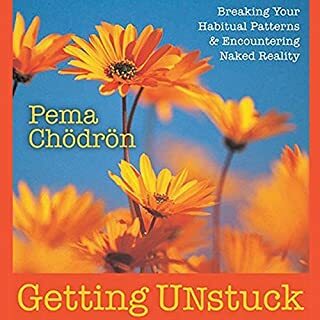 Listening to these talks by Pema which seem to be five weekly lessons in a course she taught, was an amazing, gentle way to become introduced to buddhism and provided a whole new perspective on learning versus many of the other books I've been reading by people who seem to have discovered their own approaches. 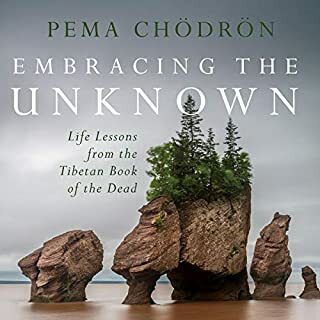 By contrast, Pema, is it gifted teacher of the already known and does a masterful job of explaining the basics of Buddhism in an easy to understand, yet complex and in-depth fashion which was replete with new insights and transmutational thoughts for me, personally. In particular, she explores the concept of anger as wisdom often towards the end of the book. This is a profound transformation (anger into wisdom instead of destruction) that can do a world of good in this day and age. My first exposure to her teachings was in "When Things Fall Apart". As with that book, in this workshop recording are golden bits of practical and clear methods of approaching every day situations. I would not recommend it as a first text, but certainly it is not necessary to be long time student to benefit. She is as charming and funny as she is open and kind. Thes words in this audio file have been recorded during some sort of a seminar or class setting. In that way it is not really a audiobook. I would like to recommend these recordings to people who have a hard time accepting a painful reality. Pemma is a buddhist teacher that makes theoretical concepts, chrystal clear and practical. Relatively easy to understand and learn from her experiences. This is a book of lectures, and the sound resonance of her voice differs from chapter to chapter. But what she says is something I can listen to many times. It's one step on a journey of awakening and it's a beautiful one. Pema is so clear and approachable. Her way of talking about the Heart Sutra, the different forms of Buddhist teachings are easy to understand and her explanations of the practice of being present with strong energy are so incredibly helpful! I can't recommend this one enough if you're going through a difficult time. Would you consider the audio edition of Coming Closer to Ourselves to be better than the print version? 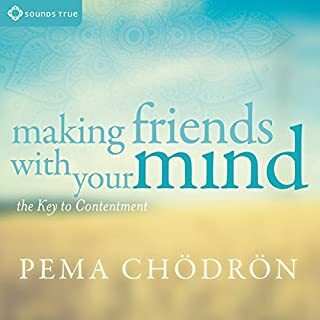 Yes, you can connect with Pema's voice. What was one of the most memorable moments of Coming Closer to Ourselves? 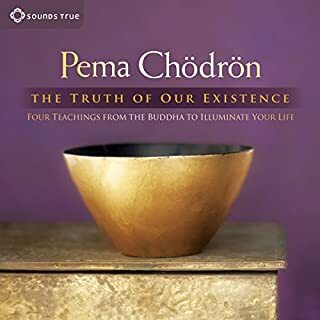 Have you listened to any of Pema Chödrön’s other performances before? How does this one compare? There is no print version as far as I'm aware - this is a series of talks with a live audience. It's wonderful, though. 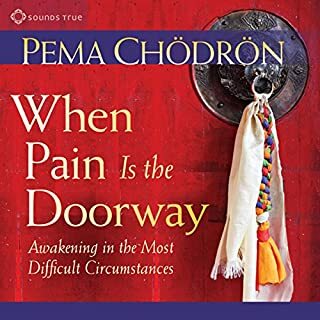 Pema's voice and manner are so pleasant and gentle on the ear and on the soul, and frequent relistening always brings up new nuggets of wisdom that passed me by previously. Really great to have on in the car or in the kitchen while washing up and chopping vegetables! A helpful guide to becoming present to yourself and your life. If you are serious about doing the deep work of being with yourself, even when the emotions this brings up are challenging but would like to learn this from someone with lightness and self effacing humour then this may be the book for you. I wish you well on your journey. As always, Pema Chodron inspires us to gain a deeper insight into Buddhism, by a light and genuine narrative. Wonderful! I loved this publication from Pema, her clear & often witty explanations of the Dharma makes for an enjoyable few hours. noble heart is a better starting point by Pema chodron. This is very enjoyable and at times very funny. Particularly the last chapter. Pema has a soothing voice and her sessions are very thought provoking. Great book for experiencing live meditation retreats. The recording is a little tinny but I stopped noticing within a couple of minutes. This is fascinating, a series of talks given in an unpolished engaging style from a Buddhist nun who is very in touch with real life. I am not a Buddhist but gained so much from this. Review of Coming Close to ourselves. As ever, very inspiring and so down to earth. Pema speaks so wisely and from her own experience.